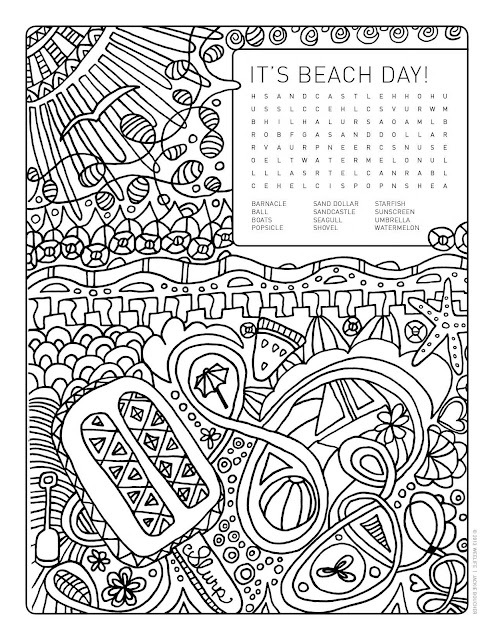 weelife: Word Search Colouring Page: It's Beach Day! Feeling beach-y lately? Here's a word search colouring page that is yours for the taking. Enjoy!